There are moments, okay, many moments, when I can’t help but wonder if I was born in the wrong generation. Don’t get me wrong, I don’t take for granted the progress I appreciate every day, but my preference in music and films often takes me back more than a few decades. One of my most beloved actors is Jack Lemmon. As a child I was introduced to him paired alongside Walter Matthau in Grumpy Old Men, and I soon came to discover his earlier career which had me immediately smitten. 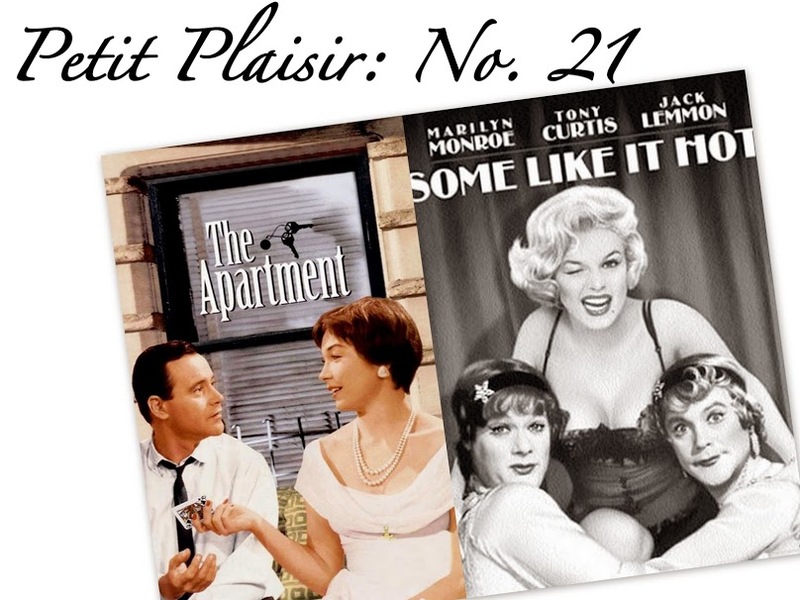 The two films starring Jack Lemmon that I highly recommend sitting down on a rainy evening with a cup of something delicious to enjoy are The Apartment with Shirley MacLaine and Some Like It Hot with Tony Curtis and Marilyn Monroe. Both playful and delightful, the films reveal Jack Lemmon’s uncanny innate ability for comedic timing and humorous behavior and expressions. For some reason the simple luxury of knowing nothing crass or grotesque is going to pop on the screen for shock and awe effect to make up for poor writing/acting is all too often rare these days in comedic or romantic comedies. And so no matter who your company is, these films offer a brief respite and a few chuckles as well as plots that are creative and acting that is more than just decent. Awe, with the long weekend, I’m off to search for another classic to enjoy. If you have any suggestions, please do share. Charade! Monkey Business! Holiday! So many options! I have yet to watch Monkey Business. Thank you for the suggestion! “This may even turn out to be a surprise party!” My introduction to Jack Lemmon was Some Like It Hot….I don’t think I could have picked a better one. One of my favorites! Great choice. This is one of those films in which I will never tire. The Seven Year Itch, How To Marry A Millionaire, and My Favorite Wife. 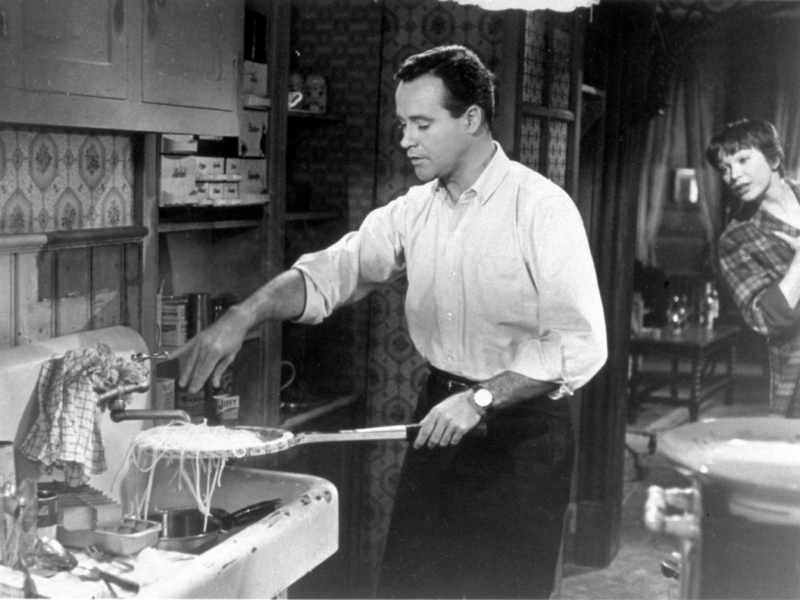 If you love Jack Lemmon then you must watch The Out of Towners! 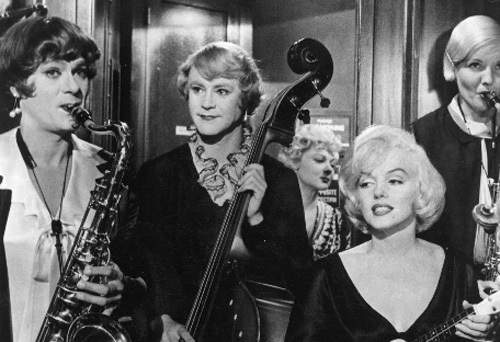 Some Like It Hot is my all time favorite movie! I could watch it every day. Another favorite is Singing in the Rain. 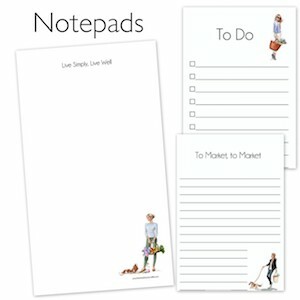 These are all great suggestions! I love Charade and How to Marry a Millionaire. One movie I just watched on Turner Classics was Les Girls with Mitzi Gaynor. I just loved it! People will Talk with Cary Grant or High Society with Grace Kelly. Just perfect! 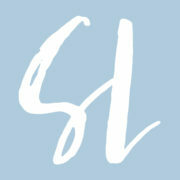 Loved High Society – Grace Kelly and Louis Armstrong – fantastique! I am going to look into the two you mentioned. Thank you! Some Like It Hot is one of my all time favorites. If you haven’t seen “bringing up Baby” with Katherine Hepburn rush out and rent it now – it’s hysterical. Breakfast at Tiffany’s, Gentlemen Prefer Blondes, It Happened One Night are all great as well. And for something slightly more contemporary, Steve Martin’s remake of Father of the Bride. Irma La Douce is also tres, tres simpatique and one of my all time favorites! Two of my other favorites are Roman Holiday, with Gregory Peck and Audrey Hepburn, and Gigi with Leslie Caron. Thanks for feeding my mind which has been troubling me asking , “What movie are you gonna watch this weekend?” I’m sure I’m gonna enjoy it ! I have to see the Lauren Bacall/Gregory Peck film and have a great Jack Lemmon film for you – it’s “Bell Book and Candle” and is a ’62 film if I recall, with Kim Novak, Jimmy Stewart, Hermione Gingold and a very young Jack Lemmon – I always watch it at Christmastime as its New York in the snow. Its a darling film , the classics are so endearing!